If you are an ardent music lover and have always wanted to experience rich music on-the-go, then these pair of metal earphones ought to enthral you more than anything else. oraimo, the smart accessory brand from TRANSSION Holdings, has announced the launch of its new set of uber cool and stylish earphones in India, Atom OEP-E36. The stylishly designed earphones have capabilities par excellence and redefine the auditory experience of the Indian consumers. With stylish design, comfortable ear tips and uber quality sound, Atom earphones are the perfect blend of elegance and euphony, making your leisure time even more enjoyable. Priced at INR 899, these earphones will be the perfect music partner you could ever wish for. With an exceptional design and multi-function remote, oraimo Atom OEP-E36 delivers balanced sound for bass, mid and highs through dual layer composite driver. 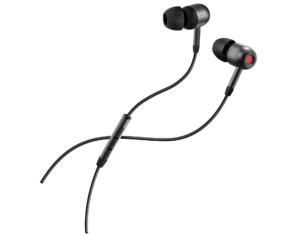 The earphones are built-in with a sleek metallic design and microphone for hands-free calling. These features make the earphones not only highly portable but also perfectly suited to meet all your fashion needs. The unique 45-degree angled design ear tips and ear adaptors are available in six sizes to ensure ultimate comfort, that you might even forget that you’re wearing them. This elegant and contemporary pair of earphones can be purchased from various mobile accessories and electronics stores. oraimo is a smart accessories brand of TRANSSION Holdings specialised in designing, manufacturing and retailing consumer electronics products. oraimo develops cool and creative smart-accessories for young people around the world, enabling them to explore more excitement. oraimo is available in over 30 countries and regions across Africa and Asia.